Small (6-12 Mos.) - $73.99 Medium (12-18 Mos.) - $73.99 Only 6 left! Large (18-2T) - $73.99 Only 2 left! Your little squirt is adorable. So adorable that you find anything will look good on him. And that is the real problem, isn’t it. It’s hard (or rather too easy) to shop for someone who looks awesome in anything. You aren’t sure what to put him in everyday. If he would let you, you would cycle through at least five outfits a day. Well, barring an accident, he will not stand for you changing his clothes that often. That’s why you need to find something that will look cute, is comfortable for your little squirt, and charming no matter how many times he wears it. This can’t just be any ordinary outfit. No, it needs to be one that you only pull out on special occasions. Something a different from his normal attire. Well, fear not. We have something just for him. 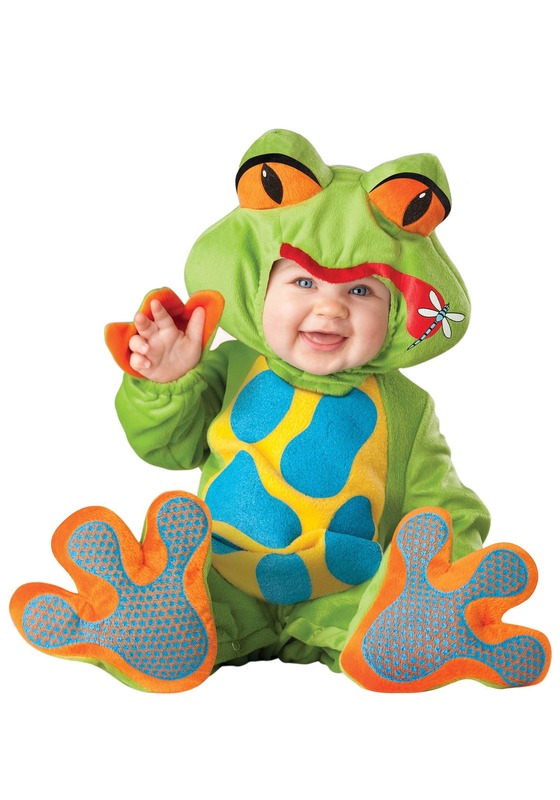 This Baby Lil Froggy Costume will suit his adorable, yet kind of slobbery nature. Sure he might not be able to fling his tongue out to catch flies, but that’s not a bad thing. He will look like the cutest little frog you’ve ever seen. Heck, he will look so awesome, you might not want to take him out of this costume. This won’t necessarily make you stop buying all those other cute clothes, but your little guy will be happy that he gets to be comfortable in this frog suit.